NJHS membership includes students completing grades 7-9 who are invited by the faculty to become members. Candidates are evaluated in four areas: Scholarship, Service, Character, and Leadership. Candidates must have a minimum cumulative average of 92. Must complete service hours by the end of the fifth six weeks. Candidates must complete 3 hours of service, one of which must be through participation in school-sponsored service projects. 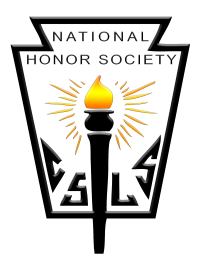 NHS membership includes students completing grades 10-12 who are invited by the faculty to become members. Candidates are evaluated in four areas: Scholarship, Service, Character, and Leadership. Must complete 5 hours of service, three of which must be through participation in school-sponsored service projects. Candidates are responsible for providing the NHS/NJHS sponsor with signed documentation for all service hours completed for other non-profit organizations.